Mobikor (www.vinatoon.com.vn, co-CEOs — Kim Joong-hwan and Lee jin-woo), Vietnam’s first webtoon service provider, announced on October 31 that it entered into a strategic alliance with ‘comicola’ (www.comicola.com), Vietnam’s largest cartoon company, for the supply of cartoons and future businesses. Mobikor attracted the attention of Korean and Vietnamese cartoon/webtoon industry when it introduced Vietnam’s first webtoon service, Vinatoon (www.vinatoon.com.vn), to Vietnam last April, and it is making efforts to spread webtoon through cooperation with various channels and companies. comicola is Vietnam’s representative cartoon company and community, established in 2014 by its members with more than 10 years’ experience in cartoon production in Vietnam. Currently, 80% of Vietnamese cartoonists belong to comicola. It publishes 70% of all cartoons produced in Vietnam, and uses SNS like Facebook to continuously manage maniacs and fans of cartoonists, and hosted the ‘Vietnam Comic Day’ for the past few years. It has a very loyal community. Also, it officially opened the mobile webtoon service that it developed and operates on its own at the end of August, and launched an app for Android and iOS. It is now conducting its first wave of marketing activities for cartoon maniacs in Vietnam. Through this alliance, Mobikor is supplying 63 Korean webtoons to the new webtoon service of comicola, and already disclosing them sequentially while comicola is doing the translation and localization. It is planning to continuously supply excellent Korean webtoons in the future. Meanwhile, the global publishing right to comicola’s 11 Vietnamese webtoons (Bad Luck / Genie in the hood / Blue Blood, etc.) was delegated to Mobikor, which will supply them to China, Thailand and Indonesia as well as Korea, and Mobikor is going to conduct joint marketing and the O.S.M.U business in order to develop the webtoon market and industry in Vietnam. Thank you for visiting my profile and thank you for reading my news and published press release! veral categories and as I've mentioned, during my spare time, I am also a professional photographer with webdesign skills. BANKING/FINANCIAL SERVICES, COMPUTER ELECTRONICS, AUTOMOTIVE, CONTRACTS, ANALYSIS, INTERNET TECHNOLOGY, BIOTECHNOLOGY, BLOCKCHAIN, ACQUISITIONS, RETAIL, and many more. Let's also connect via social media! You can find me on Facebook or visit my photo portfolio. Significant increase in exhibitors driven by bio growth at bioLIVE and separate nutraceuticals event. CPhI & P-MEC China (#CPhIChina and #PMECChina) – co-organized by UBM EMEA, CCCMHPIE, and UBM Sinoexpo – takes place at the Shanghai New International Expo Center (SNIEC) on 18-20 June 2019. The event will be co-located with ICSE, InnoPack, bioLIVE, NEX, Labworld, FDF, and EP & Clean Tech. Seen as the bellwether of pharmaceutical trends across the country, CPhI & P-MEC China’s agenda is packed with content from over 100 onsite conferences and activities as well as more than 50 seminars, with speakers from China and abroad. One of the key trends to emerge this year is the rise in the number of innovative China-based biotechs – coupled with the easing of regulatory pathways and an emerging CDMO sector – is fueling a significant growth in manufacturing across China. In view of this, experts at the event will assess the Marketing Authorization Holder (MAH) Pilot Program, as well as recent reforms of China’s regulatory landscape and the opportunities for international pharma. With the Chinese pharma growing at a ferocious pace, CPhI & P-MEC China is expected to welcome 50,000 attendees in its 19th edition – a year-on-year increase of 30% – which is further indicative of the buoyancy of the Chinese market. The event is also expected to see a 6% increase in exhibitors, with more than 3,200 from over 120 countries in attendance. “China is issuing new guidelines at a feverish pace and will be harmonized with ICH very quickly. The result is that over the next two to three years’ poorer quality manufacturers will drop out of the market and China’s manufacturers will look to compete in international markets as well as domestic” CPhI Annual Report Expert, Bikash Chatterjee on outlook of 2019. Wider market data also supports this ongoing boom, with China’s pharmaceutical market projected to grow strongly from 115.2bn USD in 2016 to 159.4bn USD by 2021 and 234.2bn USD by 2026. This represents a 10-year compound annual growth rate of 8.8% in local currency terms and 7.3% in US dollar terms. Similarly, bioprocessing in China has been on a trajectory of rapid growth, with a 39% growth in facilities, and total capacity is growing >8% annually, with biosimilars offering the largest growth potential. At the 2019 edition, for the first time, CPhI & P-MEC China 2019 will launch bioLIVE – their new bioprocessing and manufacturing exhibition – which has evolved from the previous BioPh China and will run adjacent. This exposition is in response to the large molecule trend within the industry, and arrives at a particularly prominent moment. Within the last year, there has been a proliferation of biosimilars and double-digit approvals of biologics – as well as a host of investments taking place in contract services. The third edition of China Pharma Week will take place alongside CPhI & P-MEC China on June 17-21 2019, focusing on Leadership, Business, Networking, Innovation, Recognition and Knowledge. Activities will include plant visits, a networking dinner, women in leadership forum, summits and the Innovation Gallery Tours, giving a deeper work floor insight and dedicated industry conferences on different sectors. CPhI TV will bring live interviews from the top companies on the show floor and live content onsite to get the best out of the show. On April 11–12th, “2019 Chain Plus Asia Pacific Blockchain New Finance Summit: Singapore station” has ended with a bang. Although it is currently a bear market, the enthusiasm of the participants did not decrease. At this industry-leading forum, Chain Plus, William Zhu, founding partner of The Blockchainer, also the host of this summit, reviewed and speculated the past, present and future of blockchain finance area. With the welcome speech from Chia Hock Lai, President of Singapore Fintech Association, Nizam Ismail, a former regulator of MAS, delivered a keynote speech about “How Regulators Have Responded to Facilitate Innovation, and How They Should Respond in Future”. Hongfei Da, founder of NEO&Onchain, Alexandre Kech, CEO of Onchain Custodian and Jun Li, Founder of Ontology & Co-Founder of Onchain, gave amazing speech and held the product launch ceremony with Raymond Zhang, CSO of Onchain Custodian. Andrew Pudovikov of Sberbank blockchain laboratoryshared”Enterprise Blockchain use cases in Sberbank”, Ouyang Yun, CEO of Goldlinks, shared”Anchoring the crypto world”, Jack Li, CEO of Ontrade, talked about “How to solve the existing problems with regards to the lack of altcoin liquidity and inefficient cryptocurrenty markets?”, Piotr Jan Pietrzakfrom INGdelivered a speech about “Is blockchain the major next step in the evolution of payments?” and Yihao Zhang, head of marketing from Huobi Global, shared about “The future of premium tokens”. There were also some speakers shared their opinions for “Building the New Financial Ecology”, including NGC, Hashkey capital, Cardano Foundation, EMURGO, TontineTrust, IBM, R3, etc. Followed by a heated discussion named “The Future of Blockchain and Financial Infrastructure“, Mr. Tissa Jayaweeratofrom Japan Asia Investment Company Ltd., Sunny Han, co-founder of Elastos, Leo Wang, CEO of Litex, Haidar Omais, chief marketing officer of Distributed Earth and Rita Xia Havsholm, project advisor of Orient Walt, shared their opinions. What’s more, the topic”The Management, Issuance and Trading of Digital Asset”was also a big show with the following companies joined: Bit-Z, Polymath, Satang Corporation, Remitano, Indodax, Bibox, Bitcoin Co. Ltd, Node Capital, Sri Lanka, P2P foundation, Maecenas, Securitize, HEG Fribourg, True Global Ventures, Onchain custodian, DBS bank, Standards Chartered bank, BitKan, Stellar, etc. 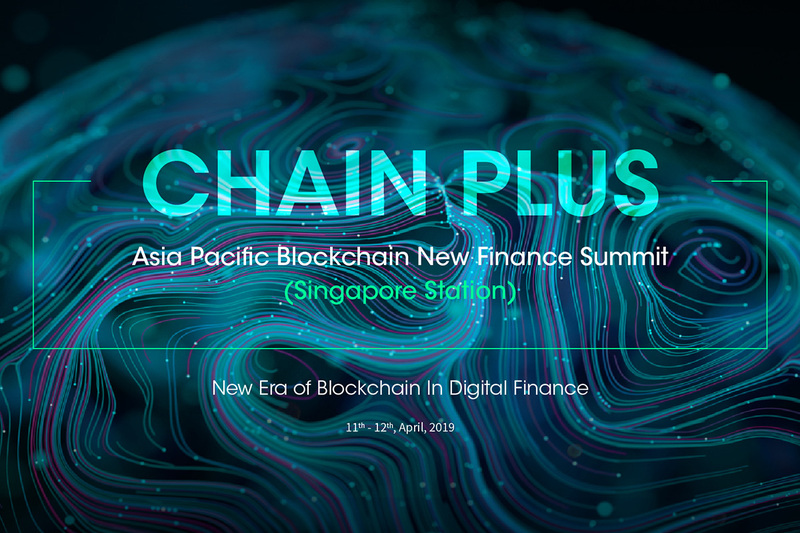 Thanks to these excellent speakers, companies, all media partners and the news release distribution partner — PR Newswire, the 2019 Chain Plus Asia Pacific Blockchain New Finance Summit – Singapore station ended smoothly. According to statistics, this summit attracted more than 400 industry practitioners, including more than 40 traditional financial institutions,100 high-quality projects and more than 50 other investment institutions, such as OnTrade, OK group, InvestaCrowd, Taipan Investment, JLAB, JRR Crypto, Central Bank of Sri Lanka, DBS bank, Stellar, NEO, Ontology, Japan Asia Investment Company Ltd., NGC, True Global Ventures, as well as crypto exchanges such as Bitfinex, Indodax, Bit-Z and Unidax. Returning to Keelung, Majestic Princess Brings Back Cruise Vacation Craze in Taiwan! In 2018, Majestic Princess carried 4K passengers in one call, the highest record at Keelung Port. In 2019, Princess Cruises Taiwan will welcome the one millionth guest onboard. “In 2018, Princess Cruises, for the first time, carried three premium ships homeporting at the Port of Keelung, and today I am very pleased to witness Majestic Princess’ arrival for the second Spring/Summer Voyage,” said Taiwan International Ports Corporation President Chungrung Wu. Majestic Princess recorded a groundbreaking number of more than 200 thousand passengers in 2018. Also, the Port of Keelung‘s cruise passenger growth rate is expected to peak at 14%, rounding up to 740 thousand passenger traffic this year. Therefore, to host 3,000-4,000 passengers per trip, Taiwan International Ports Corporation invested more than NTD $50 million on the advanced E-Gate system, and simultaneously upgraded its infrastructure to provide a more convenient immigration inspection for every passenger. In 2019, Princess Cruises will offer 54 calls across 214 days, which are expected to carry over 150,000 passengers with Majestic Princess (fromApril to July) and Sun Princess (from July to September). Services onboard have upgraded as well. Firstly, Chinese-dish menu in the main dining room is redesigned by Michelin-star-rated Chef Richard Chen in Taiwan, the Executive Chef of Majestic Princess’ “Harmony” restaurant. Secondly, as the global travel master, Princess Cruises is committed to delivering authentic destination experiences to our guests. We provide the “North to Alaska” experiences in Alaska, the “Across the Ditch” onboard activities in Australia and New Zealand, and most recently the “Rhythm of the Caribbean.” Now, for the first time in Asia, we are proud to introduce “Spirit of Okinawa” onboard programming which features traditional dance activities, awamori tastings, regional culinary dishes, yukatas, and other immersive guest activities. Thirdly, in 2019, we will offer a longer voyage each month that covers both Japan and Korea, so passengers can enjoy cities in Kyushu (Fukuoka, Nagasaki, Kagoshima) and Korea (Busan, Yeosu, Jeju). 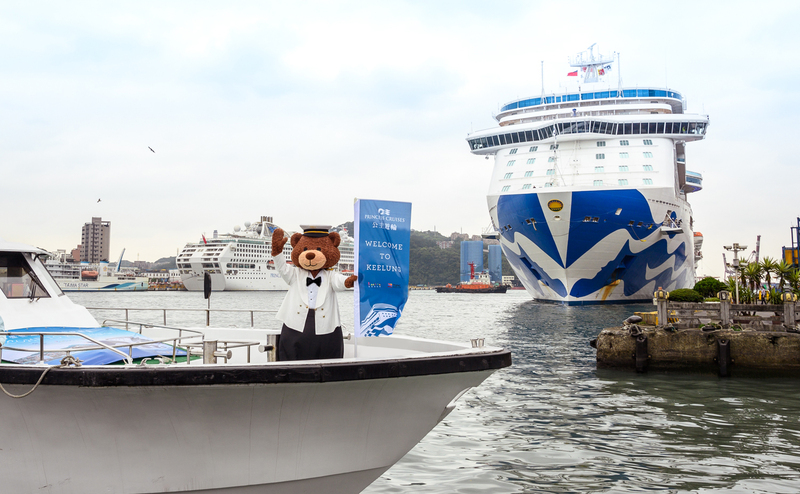 Starting on April 15, 2019, an adorable six-meter-tall mascot of Princess Cruises, Stanley the Bear, will be placed on top of Keelung terminal building for one month. It will welcome all cruise passengers traveling to Keelung with a big smile. Exclusive to our guests and for a limited time only, photo ops with Princess Cruises and Stanley the Bear will for sure be popular on social media.